Tyga and Chris Brown have been newsworthy for a ton of things outside their profession as of lately, but today, things are a bit different. 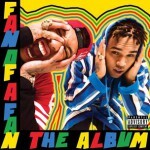 Recently, Tyga announced the official release date of Fan Of A Fan: The Album, a collaborative project with singer Chris Brown. The tweet also featured the album artwork, which gives off an old school 90’s vibe. In December, the two released a single from the project titled “Ayo”, and there is also a lyric video for the song. Another song is expected to be dropping soon, however, there’s been no exact date when it will be released. As for Tyga, we’re still waiting on his next solo LP, The Gold Album, which has been delayed three times.